The holidays are such a busy (and fun) time of year, with tons of events on the calendar and plenty of items stacking up on my to-do list, the last thing I have to do is prepare a complex dinner every night. 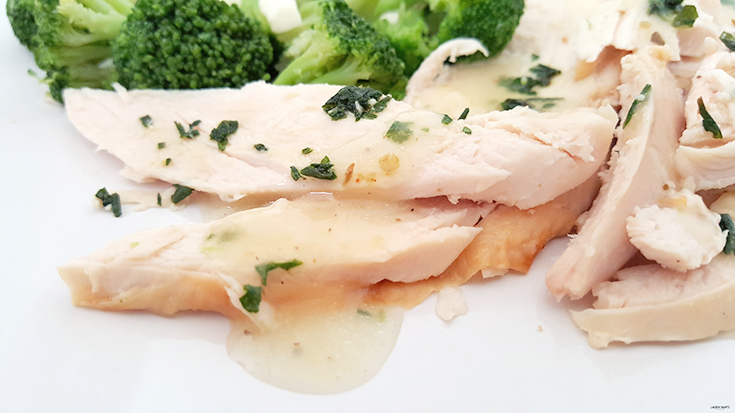 That's why easy, delicious recipes that I can make in minutes are pretty important in this house and that's why we love this recipe so much - it's quick & easy and absolutely delicious! 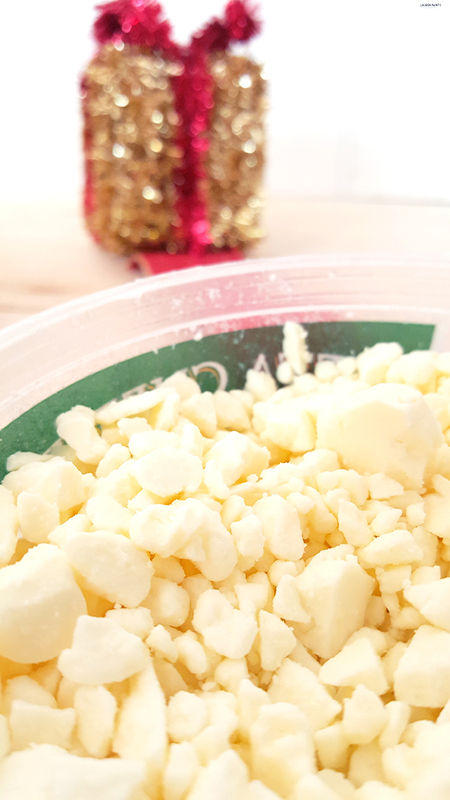 Thanks to Litehouse, we have another "regular" recipe to add to our routine! 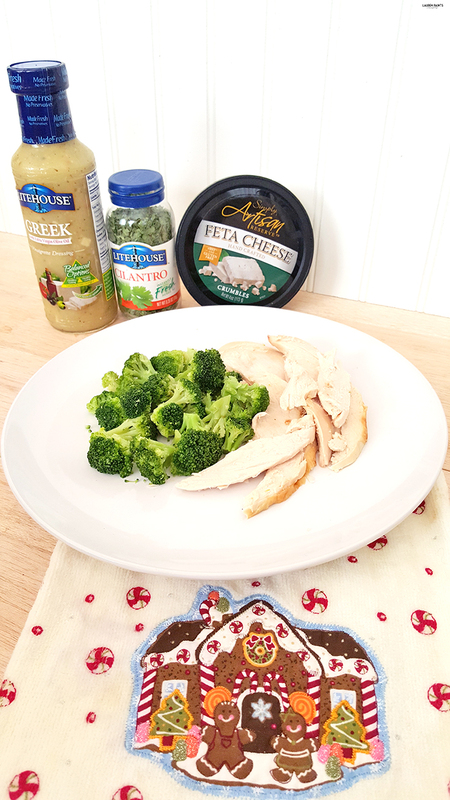 This Greek chicken and broccoli dish is the perfect healthy addition to any household "dinner menu" and with barely any prep time, it's a meal you won't mind making! 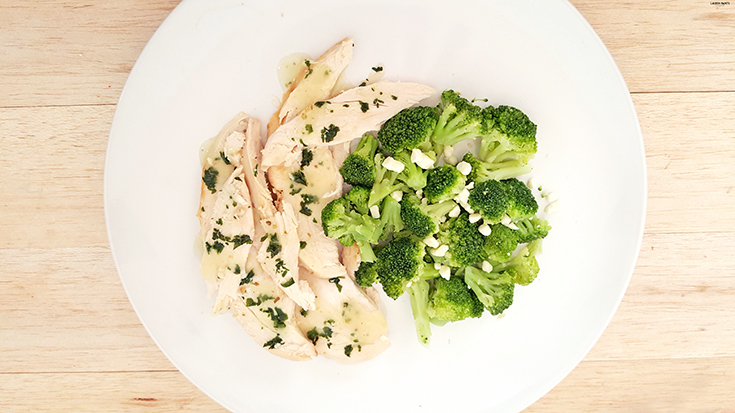 You'll begin this recipe with a small helping of already baked chicken, we buy rotisserie, and a large helping of freshly steamed broccoli. 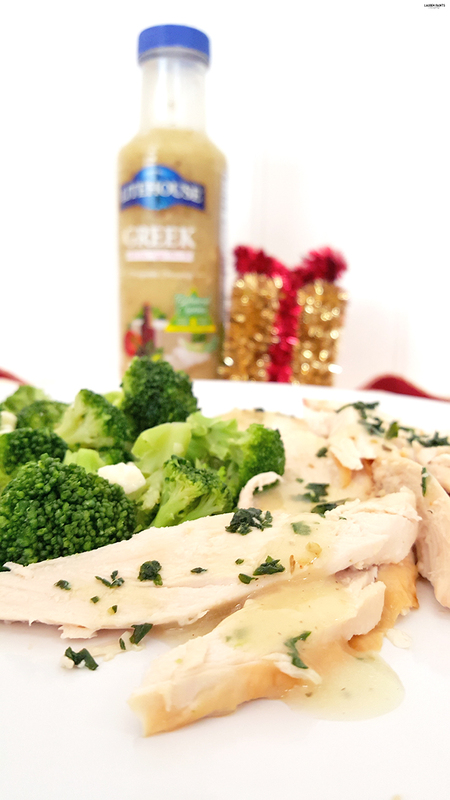 Add a little bit of Artisan Feta cheese to your broccoli, a sprinkle of Litehouse cilantro to your chicken, and a nice drizzle of Litehouse Greek dressing over the top of it all. That's it! Your super simple dinner recipe is complete and ready to serve to everyone in your family. You can find Litehouse at your local supermarket or big box chains, plus you can use this coupon and save money! 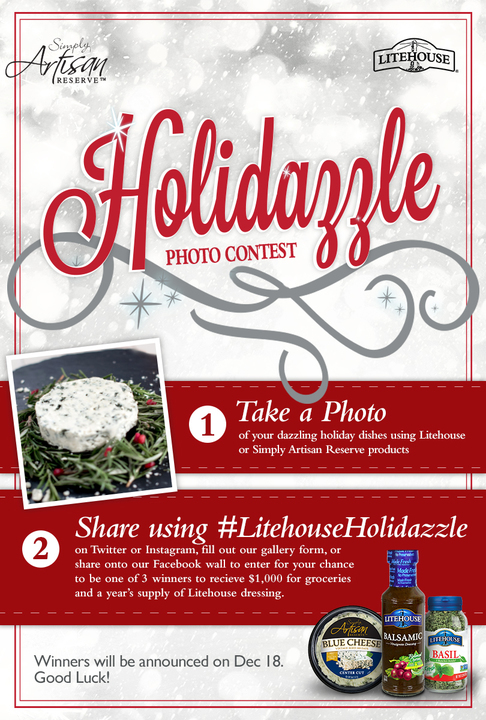 Now that everyone has a full belly, maybe it's time to share a photo of your delicious holiday dishes with the hashtag #LitehouseHolidazzle for your chance to win $1,000 of groceries & a year's supply of Litehouse dressing! Don't miss out on the fun, submit your photo before the deadline (December 17th)! Get all the details here. That's not your only chance to win Litehouse though! 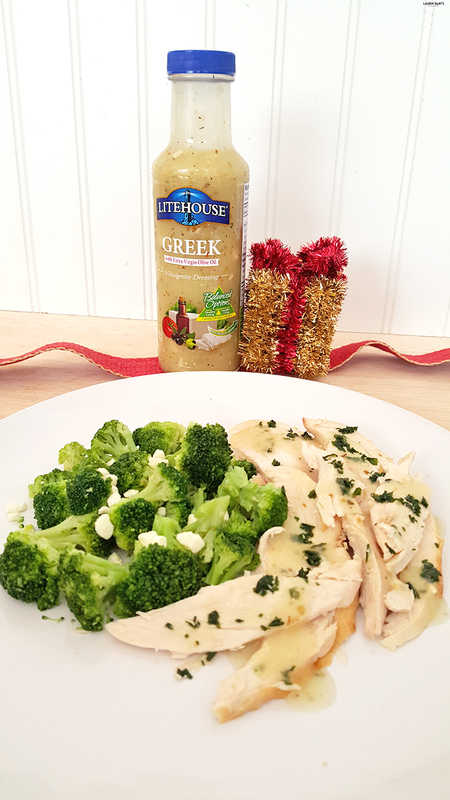 Enter to win the same product line up from Litehouse, so you can recreate this recipe in your kitchen! To enter the giveaway, use the form below & also tell me, what's your favorite holiday recipe? I can't wait to hear all about it below!